It’s always frustrating when things are a bit slow on the web. However, we have been engaged in some serious projects all of a sudden that actually can be completed. We have come to the realization that our inventory is semi-bloated with older generic gold coins. While we love these coins, they can be boring, and a lot of collectors can say been there, done that. So we realized that we need to move them (you’ll see some re-listings and lower prices) and we’re doing our best to update our inventory offerings. It blows our minds that we have such tremendous results buying in the office versus buying at shows. This past week we added another $250,000 in phenomenal purchases. So the past half month means that we garnered $500,000 in killer NEWPS (including a MONSTER $1 1878 TD PCGS PR67 Cameo CAC 10 times finer than the only other one graded). Anything not on a Want List will appear in next week’s NEWPS. We believe the market has yet again changed before everyone’s eyes. And it’s not a bad thing. Now, however, everyone is experiencing just how dry the bourse floor is versus auctions. Unless you have the 40+ years of contacts like we do, you’re simply not going to find too much anymore. So we’re changing how we deal yet again, to take advantage of where the coins are to buy. It’s not looking so good for Legend to continue to take tables at all the major shows. There is simply no business to be done. Smaller venues–like the PCGS Invitationals–are different because you get a shot to buy as people get coins back. 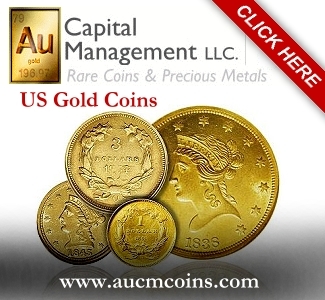 #1 – Why is the HIGH-END PCGS CAC coin I just bought for $145,000 not overvalued versus the not-great NON-CAC coin that sold for $90,000.00? We are shocked that people still do not see the difference. It’s happening on more than just one coin. Look at a $20 1904 NGC MS66 no CAC versus a PCGS CAC one. The last NGC example to sell at auction brought only $4,400. 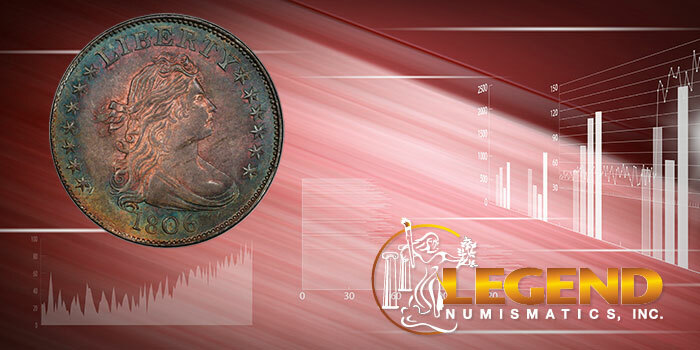 Legend Numismatics will pay $11,250 sight UNSEEN–along with three other dealers bidding that price too. CAC is NOT a fad or a marketing gimmick, it’s about QUALITY. 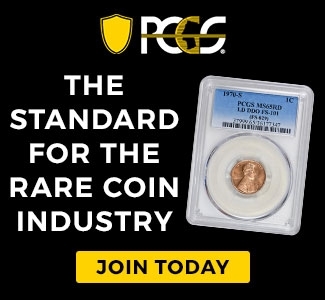 The market has more than proven over the last 10 years now that there is a huge monetary difference that is now growing even larger between PCGS-CAC and NON-CAC coins. This market is set by DEMAND, not dealers with objectives. We were shocked this week when people who we thought for sure understood, lashed out. There should be complete, unquestionable proof of clarity on this subject. #2 – The period 2011-2014 ended over five years ago. Collectors really forget there is a huge time lag. In many cases, demand may have built up tremendously since then. So if you’re evaluating a coin to buy and one has not been offered since then, why do you think it will be cheaper? Keep in mind, many people have also entered the market over the last five years as proven by demand/supply. You have to try and ferret out similar coins to see recent sales histories. Don’t just huff and puff and say you won’t pay the new price. If you have that attitude, you’re not going to buy much in the future except for “off-quality” coins. The biggest problem even we face is how to value coins that have not traded in over five years. These days, they are for sure considered “fresh” again. Your thinking can’t be stuck in the past. To buy neat coins today, you MUST be progressive. If not, then the next person the coin is offered too WILL buy it (we have seen this happen too many times lately). Of course, there are several other coins to fit most tastes and budgets. Do not forget that we have a regular inventory with one of the largest all-PCGS-CAC offerings anywhere. Check it out. We’re still a little dazed that coins like the exceedingly rare $2.5 1834 Capped PCGS AU53 CAC and the monster $20 1854 SMALL DATE PCGS MS64 CAC are still in stock. This was and still is a crazy week for cataloging. All we can say is what is in our Regency 31 sale is off the charts – UNBELIEVABLE! The Grand Prix Mini Collection of Mercury Dimes and GEM Walkers. Many have been off the market for 15-20 years. Pristine GEM coins. There is also a trophy PR Buffalo Nickel set (each coin sold separately). The Intense Cameo Collection. These coins were so incredible we had to wear sunglasses to catalog them. We’re talking real monster BLACK and WHITE PR Trade Dollars, etc. ALL coins are HAZE free too. Part I of The MONSTER Young-Dakota Collection of Proof coins. Matched original early Proof sets, the incredible 1893-CC $1 BM 65+ CAC, and some of the best Barber Proofs you will ever lay your eyes on (it’s good to work with Legend to build a collection)! $10 1795 13 LEAVES PCGS MS64+ CAC Totally original! We will be releasing much more information on the contents of this 500-lot sale in the next few days. We do plan of having the sale at the Baltimore Show but we can not display it – so just ask. If you have any questions, please contact Julie Abrams (julie@legendcoin.com) or Jessica Berkman (jessica@legendauctions.com). If there is a correction in the US market, I as a collector see it as long overdue. I’d love to pick up some common 20th century gold & silver types to show non collector friends but everything clean is 4 or 5K.